Q. How do I edit my personal information in MyLibrary? 1. 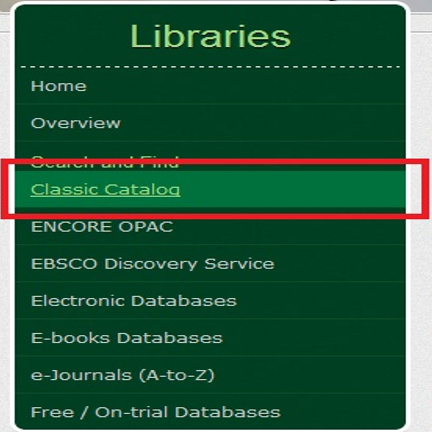 Go to the library's webpage at http://www.dlsu.edu.ph/library. 2. Open the "Classic Catalog" link. 3. Click the "MyLibrary" link. 4. Log in to your MyLibrary account. 5. In your MyLibrary record, click the “Modify Personal Info” button. 6. 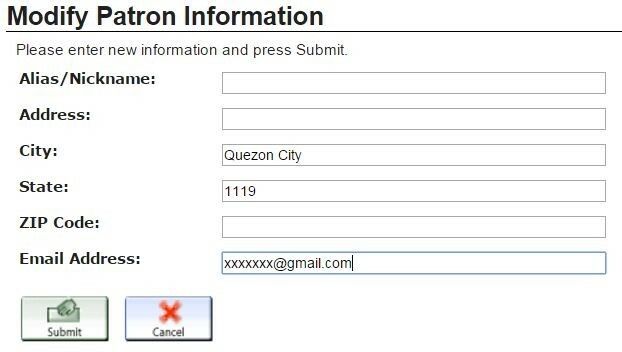 Edit the default information (e.g., preferred e-mail address), then click “Submit” to save the changes made.